A cellphone video of a South Carolina police officer shooting an unarmed black man in the back prompted national outrage and criminal charges against the officer. The event has increased the calls for police to wear body cameras in their interactions with the public. But would a police-worn body camera have held Officer Michael Slager accountable for killing Walter Scott? There is a growing movement to outfit police officers with body cameras that can record their interactions with the public. Calls have been made for the cameras by the parents of Michael Brown, and by many police chiefs across the nation. President Obama proposed getting 50,000 body cameras to police stations nationwide. The White House quotes a study conducted in Rialto, California, that found a 60 percent drop in use of force and an 88 percent drop in complaints against officers after the introduction of body cameras. In San Diego, according to a report released by the city, complaints and use of personal body force incidents decreased by about 40 percent and 45 percent. However, a recent Fusion investigation found that in two of the five cities studied, the introduction of police-worn body cameras showed little effect. Fusion also found that the footage is generally used for the benefit of the police officer, rather than citizens issuing complaints. This surprised me at first, but then I took at a look at the companies that make these cameras. Benefiting cops is certainly how the body cameras are marketed. With the cameras and the rules that govern their use in control of the police, you see many of the problems that you might expect. 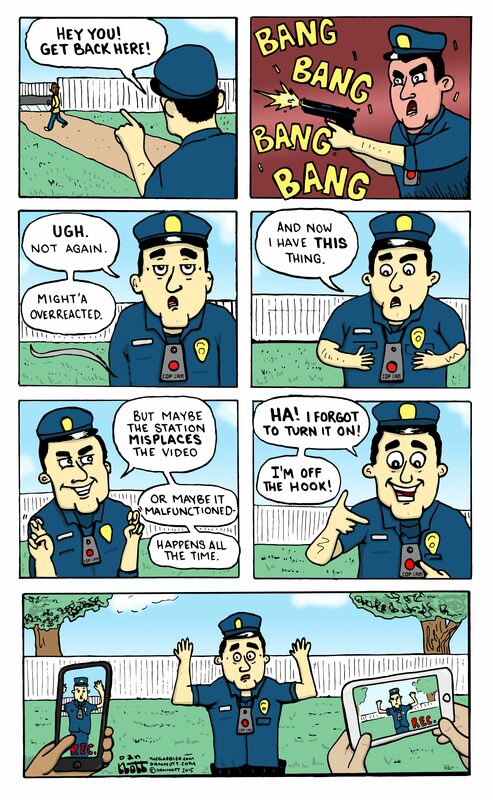 Officers almost always control the record button, so there is no guarantee that any incident will even be caught on footage. If it is recorded, problems often still arise. Radley Balko, a journalist who covers civil liberties and criminal justice, highlighted how San Diego Police Department will not release any footage it considers to be part of an investigation. And too often, the footage is claimed to be unavailable. For these reasons, a body camera video of the killing of Walter Scott would likely have been kept out of the public’s eye. Body cameras have definite potential to create a record of critical interactions between police and citizens. But until there are strict rules governing their use and impartial oversight of the recorded footage, using cell phone cameras might still be necessary for citizens to hold police accountable.